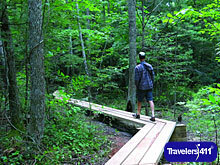 Dan Bolognani, Executive Director, Upper Housatonic Valley National Heritage Area, Berkshire County, Massachusetts and Litchfield, Country, Connecticut, USA. Click here for the Upper Housatonic Valley National Heritage Area Directory listing where you'll find links to all interviews with Upper Housatonic Valley National Heritage Area in one place. Click here for more info and links to all interviews featuring Dan Bolognani. Gary S. Thulander, Managing Director, Chatham Bars Inn Resort & Spa, Chatham, Cape Cod, Massachusetts, USA. Click here for the Chatham Bars Inn Resort & Spa Directory listing where you'll find links to all interviews with Chatham Bars Inn Resort & Spa in one place. Click here for more info and links to all interviews featuring Gary S. Thulander. Kyle Frazier, Director of Sales, Freedom Solar Company, Autsin, Texas, USA.